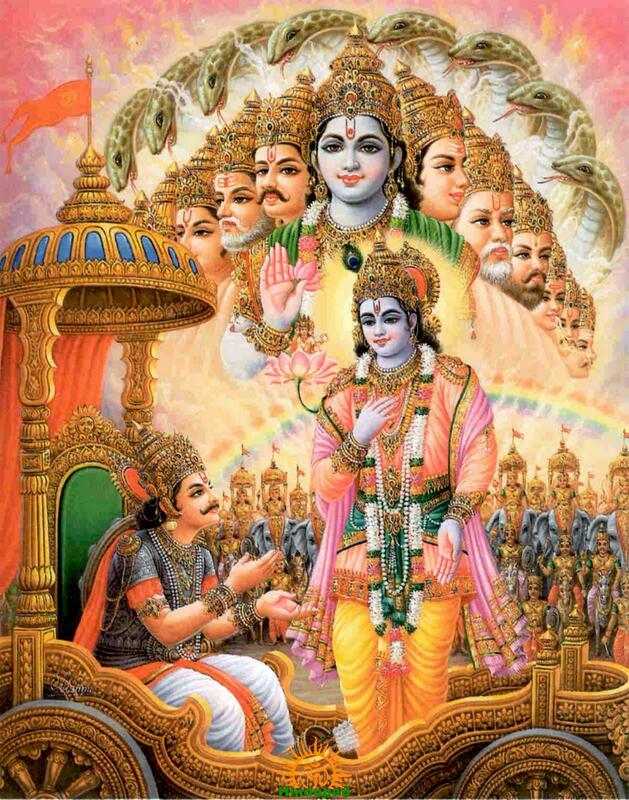 I have a problem with "Krishna Says"
I have a problem with people who talk random pep talk in the name of "Krishna Says". Because, no Krishna doesn't say it! For one, you have never bothered to read the damn book. So stop insulting the text, the numerous great interpretations, those who read it and actually imbibe it. How about you actually listen to some good commentaries or read the text yourself. There's enough translation available and if you have basic skills, it's very much possible. I mean look at this Man, this much revered and so-called ( to pacify atheists ) God, that you attribute your mediocrity to. Does he look like he's telling Arjuna that it's easy to forgive in words, but not in mind, standing in a battlefield? I mean seriously people?? Next, you choose to just misinterpret (which is still OK, assuming that's your own understanding), abuse the text by inserting totally generic, shallow pep talk in the name of Krishna Says. I get equally frustrated with those who quote any share to Ghalib or any piece of poetry to Gulzar, or sensational statements to celebrities for instance. Specially when you can prove that it wasn't said by them. Next, while you want all the world to applaud your mediocrity, you cannot actually take someone's random story when they call your BS out, without naming you. Instead of acknowledging your mistake and learning from it, you question their publicly acclaimed, proven credentials and then go on an ego trip. So much for Krishna says about forgiveness. Next you block them. I say, good riddance :D Did I look like I care? So then why this post? Simply because I think a lot of us speak very mindlessly and with very low levels of awareness. After which in our ignorance we want it to be validated. Since we do not want to own what we are saying or sharing, we irresponsibly attribute it to someone, most easily a public figure who is dead, not keeping track of what people speak in their name, or even better, a Mythological figure / Scripture. These are signs of ignorance, laziness and ego. How many of us really are willing to let it go and research on what we post? Or at least own up that it is not what "Krishna Says" or "Bhagvad Geeta Says" etc.